Tokyo is a marvelous mix of modern living and old-fashioned manners, slick high-tech gadgets and cutesy cartoon mascots. It's terribly crowded, yet can be strangely quiet. It's home to the understated, and the wacky, and you often find them right next to each other on the sidewalk. That's the beauty of this not-so-pretty city  that, and the fabulous food and unparalleled mass transit system. 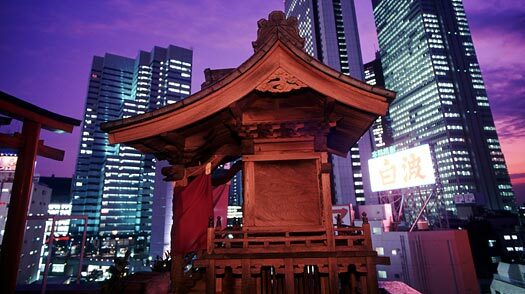 There are shrines and stone lanterns and other traces of old Japan scattered among the skyscrapers, swanky shopping malls and hole-in-the-wall noodle shops. The trick is to sample it all, to visit the serene garden and the massive office tower with a sky deck. Here's how to see the loveliest  and liveliest  sides of Tokyo in in a day or two.